How can an efficient office space be created? Be sure to prioritize these factors. Efficiency is king for any business, and an important part of maintaining high levels of productivity lies in the creation of an efficient office space. There is no doubt that having a well-designed work environment that focuses on employee comfort and ease of usability will have a hugely positive effect on the overall output of the business; but how can such efficient office space solutions be created? The link between successful overall office design and productivity is not one that can or should be ignored, and there are a number of simple solutions to ensure an efficient office layout. The first important decision to be made is whether to opt for an open-plan space or the more traditional enclosed offices. Open-plan offices are excellent for employee collaboration and also allow more people to work within this more flexible office space. Because of this, they are now the most popular choice for most businesses, with an estimated 70% of businesses opting for this sort of efficient office layout. However, some employees may find the lack of privacy daunting, so it is best to make the decision based on your perceived employees’ needs, as well as the objectives of the company. Another way of ensuring an efficient office layout is to choose a space that allows for wide walkways and plenty of room between each workstation – employees who are forced to work in cramped conditions will undoubtedly be more stressed and therefore less productive than their counterparts in a more spacious environment. Employee comfort is also important for office space efficiency; a recent study by Jobstreet found that three out of five Filipino employees cited work environment as a top factor for job satisfaction. Basic things like sturdy, comfortable chairs, and (where possible), lots of natural light will have a positive effect on workforce mentality, as would the maintenance of a comfortable temperature. A busy office is more often than not a noisy one, so the use of noise-absorbing materials, rubber mats, and enclosures for noisy equipment will also be helpful in creating a less stressful and more efficient office space. A messy office is an unproductive one; not only due to the time wasted by having to search through clutter to find things, but also because of the positive psychological impact it creates. 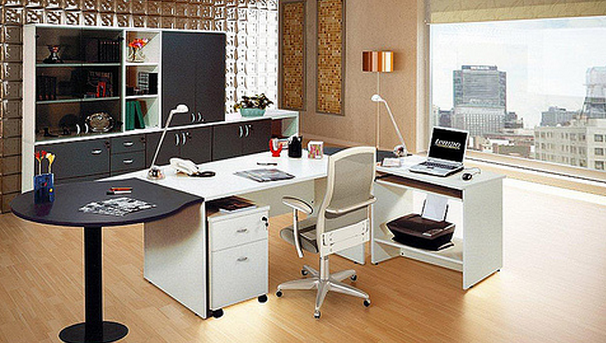 A tidy office in itself encompasses the concept of an efficient office. Businesses should introduce a tidy desk policy wherein all rubbish is cleared at the end of each day, and all paperwork is filed away in a suitable, allocated, logical space. Encouraging a positive team environment is an easy way to boost work productivity. Having a professional but friendly atmosphere is paramount to office efficiency, and studies have also shown that employees subconsciously assess their office space when evaluating the level of their own job security. After all, the office space itself is arguably a reflection of the company, its ethos, and all the members that constitute that company. It is therefore vital that the efficient office layout conveys a sense of stability and security to its denizens. Employees also examine how physically and mentally comfortable their bosses seem, both within the job and within the office space itself. For this reason, the use and efficiency of the office space, and the tailoring of office space solutions have an important role to play in maintaining a cordial relationship between staff members, thereby ultimately leading to increased productivity. Using the right technological systems is vital for ensuring office space efficiency. Ensuring that all computers are up-to-date and that they are protected by high-quality security software and anti-virus programmes are essential. This is because system crashes are often one of the biggest productivity-killers for businesses. Transferring all paper files to a computerised system is also helpful in increasing overall office efficiency, as this means less time is needed to locate them. Moreover, a surprising amount of space can be claimed back from filing cabinets, once everything is digitised. Having a system that all members of staff can easily access is key to increasing the office efficiency and raising both employee morale and work productivity. After all, without the proper technological infrastructure and an innovative use of the latest technology, how can a business ensure that its work environment represents an efficient office layout? Overall, it is of key importance that companies put considerable thought into office design and productivity, tailoring the workplace in a manner that ensures an optimal level of efficiency. With the deployment of these office space solutions, it is not difficult to create a positive, flexible office space that ultimately is better for one’s business. 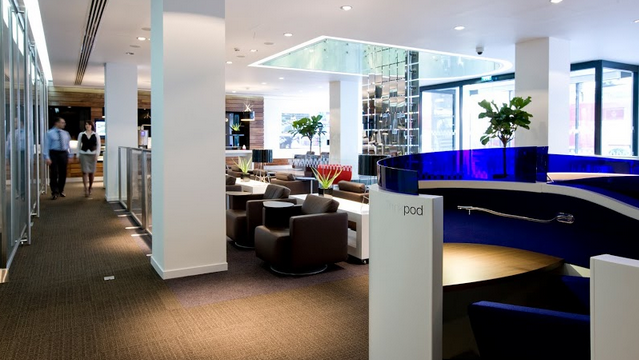 This article originally appeared in Regus Blog. Author Lars Wittig is the country manager of Regus Philippines.